The Bottom Line: This genuine duck-down insulated jacket is a parka for the coldest and windiest of conditions. The responsibly sourced materials and detailed features allow it to compete with more well-known brands, while making it appealing to the environmentally conscientious outdoor enthusiast. This down jacket must be considered when searching for your next summit puffy, winter camping parka, or even cold-weather stroll insulation. The loft on the Epiq is considerable, making the jacket quite warm. Dan Sherman. Weight has certainly become one of the most considered factors when purchasing a piece of gear or apparel. It's slightly heavy considering the comparable alternatives. 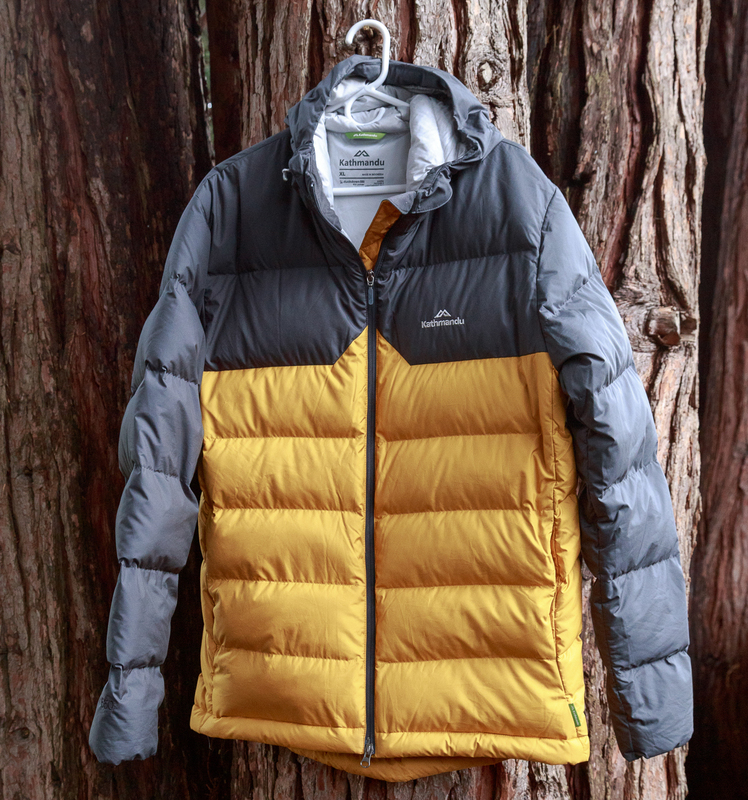 The durable water repellent (DWR) outer layer isn't meant to be used as a hard shell, making this jacket a perfect mid-layer insulation piece on stormy climbs and hikes or ideal for donning on breaks in high-output activities in frigid temps and hanging around in alpine camps. It will repel light precipitation, but genuine down tends to clump and become quite saturated with any moderate amount of moisture. The wide baffles could be a bit narrower so as to better insure a ration of insulation to body surface area coverage. Many newly designed insulation jackets have quilted baffles for this reason as well as for packability. Speaking of packing, the included stuff sack is certainly a welcome feature, complete with a toggle easily used with one hand. There is also an inside mesh pocket, which is an ideal storage place for the sack while wearing the jacket. That said, The North Face Summit Expedition Hoodie has a built in stuff-pocket, as many other jackets do. Overall, the design stands apart from the comparable jackets listed above with a retro-style multi-color block, a sweet logo, and even company-labeled zipper pulls. The interior lining is especially unique: it resembles topographic lines of a map, a design detail that's easy to appreciate and might make you smile. I'm just going to mention how much I like their super clean, meaningful logo. It seems like they started with an infinity symbol and evolved it into a double mountain—it just communicates so much in a small way. The logo on the back of the jacket is bordered on the top, accentuating the mountain look. Some of those zipper pulls even have the logo on them. Love the detail! The zipper top chin guard is brushed soft felt-like fabric—certainly a welcome feature, especially for those of us with beards who don't want zippers anywhere near our faces. However, the main zipper is doubled. I suppose this allows for venting from the lower part of the jacket when active, but it makes it somewhat difficult to connect the zippers at the bottom. All zippers used are the appreciated YKK high standard. The zippered hand pockets are also lined with a brushed felt-like fabric, which is nice and warm. However, if you have rough hands like me, the feeling of skin scratching on fabric like that is quite unwelcome. The hood is a necessary feature in any comparable down jacket. If you're wearing a jacket like this, it's because you want your whole body to be warm—including your head. The toggled drawstring is easily adjustable, and I'm a super fan of the nylon headphone loop keeping that cord out of the way. Hanging around alpine camps can sometimes require distractions like a jammin' playlist. The interior chest zippered pocket includes a labeled outlet for headphones as well. So thoughtful! The toggled lower hem is helpful to keep the wind out and is easy to release with gloved hands. The elastic wrist cuffs help to prevent wind penetration and maintain surface area coverage. I'm 6'2" and 190lbs. An extra large fits me perfectly over an outer layer. Normally, I would wear a large, but Kathmandu's size guide indicated an XL for my measurements. Just be aware of the size guide and be sure to measure yourself before ordering since there doesn't seem to be any place to try on their clothes in the U.S. as of yet. Anyone who cares about the overall status of our world and considers themselves a steward of the outdoors should be considerate of the materials used and the social attitudes of big companies like Kathmandu. Taking responsibility for their impact on the environment, Kathmandu has been in a leader in these aspects. They promote healthy lifestyles of their corporate employees, build energy-efficient offices, sponsor medical international mission trips, and provided disaster response aid to the recent Nepalese earthquake of 2015. Supporting a company like this seems like a noble move. Kathmandu is just beginning to move into the over-saturated U.S. outdoor apparel market, although they are not a young company at 30 years old. I had never heard of them before this, but I'm quite impressed with the overall quality, simple yet thoughtful features, and the fact that they are attempting to take responsibility for their impact on our fragile world. As of the time of this post, the only place to purchase is directly from the Kathmandu Outdoor website. A 365-day return policy is included with every item sold. Obviously, purchasing a genuine down jacket still means that an animal's feathers were obtained for it. The Responsible Down Standard's goal is to ensure that the feathers are obtained in an humane way, meaning not plucked from a live, force-fed animal. Only down that is 100% RDS certified is permitted to carry the logo. There are many features of this jacket that have allowed it to become my go-to puffy. First (and most importantly), it's warm. The 550 fill, genuine down elevates my core temp seemingly instantaneously. The shell prevents wind from penetrating the insulation. The elastic wrist cuffs aren't overdone and snug enough to do their job right. I'm looking forward to photographing many alpine sunsets, snug as a bug, in this jacket.